20th Century funding has been a tremendous asset to field trial clubs all across the country. Following is a short description of benefits the West Kentucky Wildlife Management Area and clubs using the area have received. 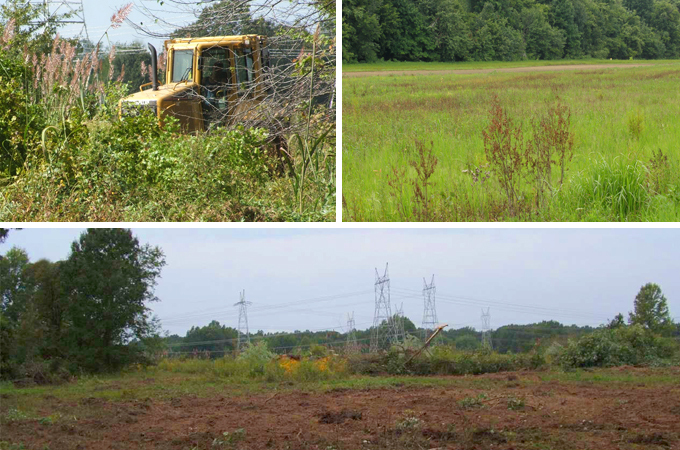 Since 2007 the area has used 20th Century funding to improve habitat in several ways. Use of heavy equipment was one of the first ways funding was used in cooperation with the area management team. Clearing of hardwoods, general encroaching species, and the like was implemented. That helped to open up courses and better prepare some parts for planting of feed patches. The last few years selective herbicides have been utilized to control unwanted growth. This method is much more efficient than the use of equipment both in control and financially. The 20th Century funding has been a big help in maintaining and improving the W.K.W.M.A. Thanks to other AFTCA members who sent in short stories and photos describing how their clubs have used money awarded by the 20th Century Fund for improvements to their field trial grounds. We’ll post more stories over the summer. If your club has received money from the 20th Century Fund, please share your success story. Reminder: The application submission deadline for the 20th Century Fund is May 1st of every year. You must submit your Request Application Form to both Piper Huffman and Hunter Wilcox VMD, Chairman by this date. Club Officers can find the Request Form and enrollment criteria in the AFTCA Club Area.